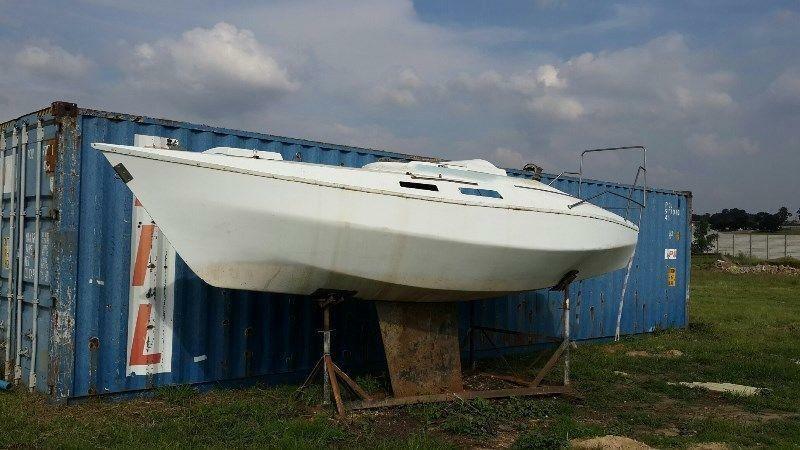 Debonair Mistral yacht hull for sale. Very good condition, including gantry. 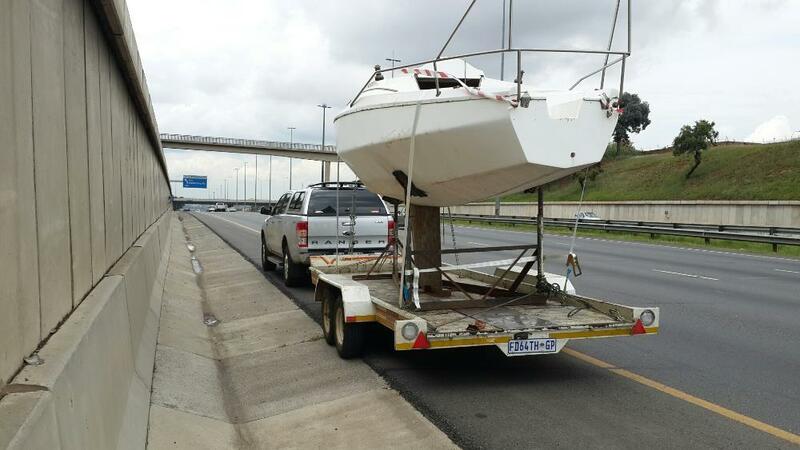 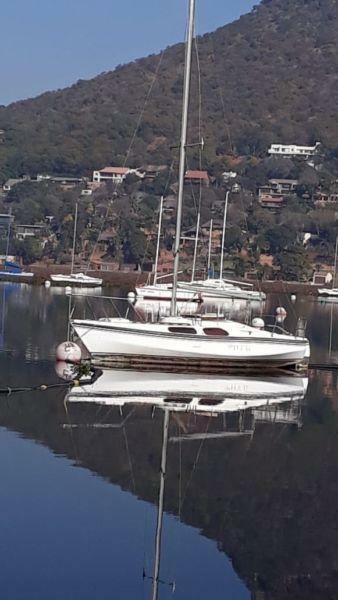 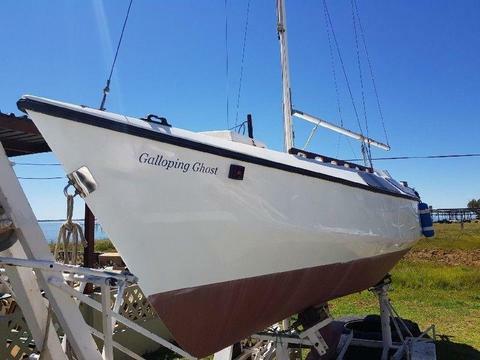 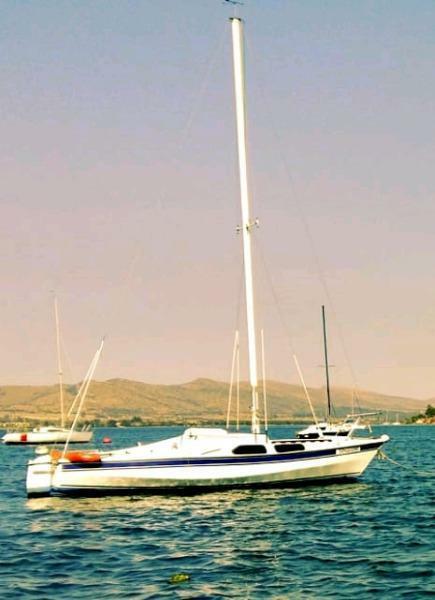 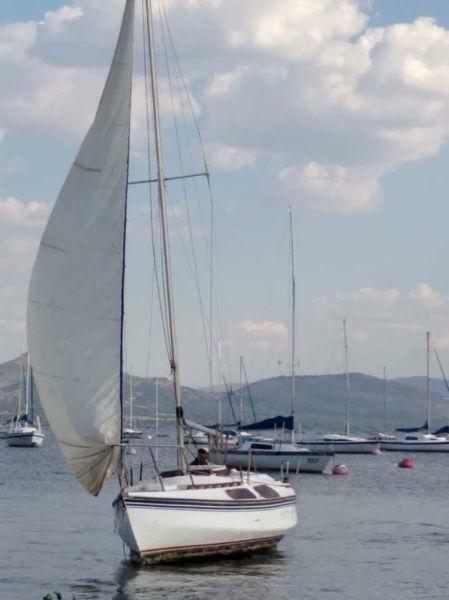 Yacht for sale - complete with mast, boom, rudder, sails and plenty extras. 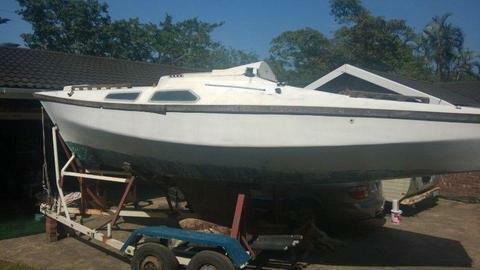 Needs anti-fouling and some paintwork.